So, I just read a self-published novel by someone I never heard of before. And I don't regret it! 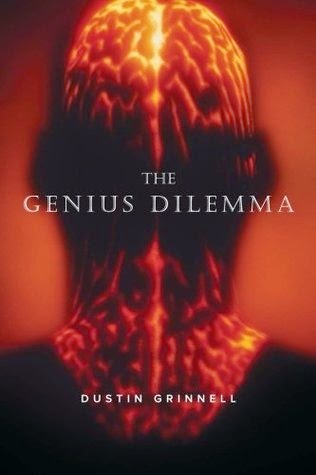 Richard Powell, CEO of pharma startup Cerebrical has developed what may be a breakthrough smart drug, able to transform the merely intelligent into true geniuses. Colonel David Landry and his boss, General Beranger, want super-smart soldiers for their elite Leviathan unit, which aims to assassinate threats to world peace before they become threats to world peace. Alan Pierce, brilliant neuroscientist, wants a cure for Alzheimer's Disease, to save his mother. Thomas Amani, who has just learned that the recently assassinated President Lwazi of Kenya was his father, wants to return to Kenya and try to defuse the tension between the Kambezi and the Berani. The Berani want revenge on the Kambezi because, despite ample evidence that the Americans did it, they believe the Kambezi must be behind the assassination. David Landry's most recent successful mission was killing Lwazi to prevent him from launching a genocide against the Kambezi. Landry, of course, does not see himself as part of the problem. All these driven individuals of course intersect, as both Pierce and Landry see Powell's new drug, Trillium, as the potential answer to their different quests. What Powell doesn't mention is that the side effects of Trillium are rather nasty; its artificial geniuses also become artificial psychopaths. Much of the action in the book flows from the conflict between those who see this as a problem, and those who think it's an advantage. The characterization isn't especially deep, but Pierce is a likable and to some degree admirable character, and the pacing is fast and engaging. I read this 500+ page book in less than three days. There are a bunch of small complaints I could make, but really, they don't matter. You may notice, but if you're in the mood for a fast-paced thriller, you won't care. You'll keep turning the pages to see what happens next. Recommended as a great beach read. I received a free copy of this book from the author.